At this year's Broadband Communities Summit in Austin, Texas, the Coalition for Local Internet Choice (CLIC) hosted a special program on April 30th. As part of the program, Blair Levin presented the keynote address. 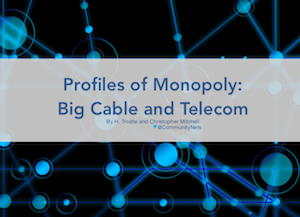 His comments focused on the process used by the FCC's Broadband Deployment Advisory Committee (BDAC) as they examine connectivity in the U.S. and make recommendations on the best ways to expand deployment. Levin is a strong, open minded advocate for universal broadband access. He's currently Non-Resident Senior Fellow from the Metropolitan Policy Project at the Brookings Institution, but he's also Executive Director of GigU and advises both private and public organizations. Levin has held past stints at the Aspen Institute and the FCC where he oversaw the development of the National Broadband Plan; he's filled many other roles throughout his career. Levin's many years in public, private, and academic sectors have given him experience and an understanding of a wide range of challenges. He’s also obtained a keen insight into possible outcomes. In his keynote address, Levin predicted that the current BDAC process needs to be improved or wealth will find its way to private enterprises with nothing to gain for the public. In his speech, Levin noted his own experiences with both local and federal governments and that the former were typically “responsive, pro-active, effective and respected in building communities that improve the lives of their residents.” He goes on to state that he believes that local governments need more authority and freedom if we are to move the country forward. Levin believes that the BDAC is a good idea — bringing multiple stakeholders in the conversation on how we can deploy broadband faster in the U.S. After all, whether we rely more on wireless solutions or FTTP, we need to deploy more fiber and do it faster and more efficiently. He also believes that it’s important to achieve a balance when considering best practices due to the intimidating economics of network deployment. He also goes on to note that there has been some value achieved from BDAC, including the recommendation that states adopt one touch make ready policies.